Hopping onto the blog real quick to wish everyone a very Happy Thanksgiving! Hope everyone is having a great time with yummy food and wonderful company of family and friends! 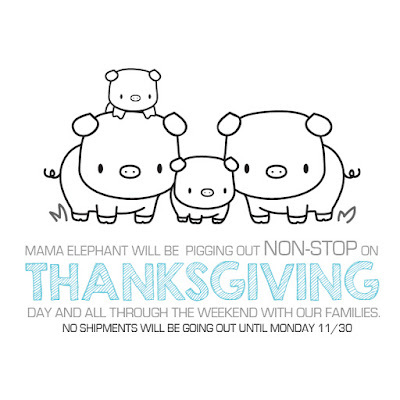 We also want to give thanks to you all those have given Mama Elephant such love and support! 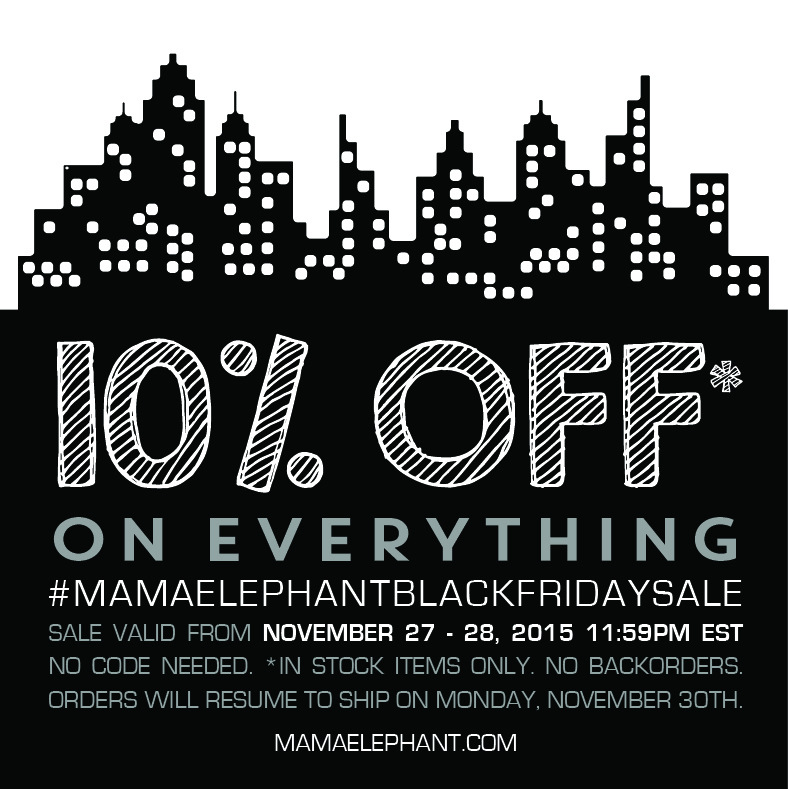 We will be offering 10% off everything at our Mamaelephant.com shop for Black Friday! No exclusions! No code needed! 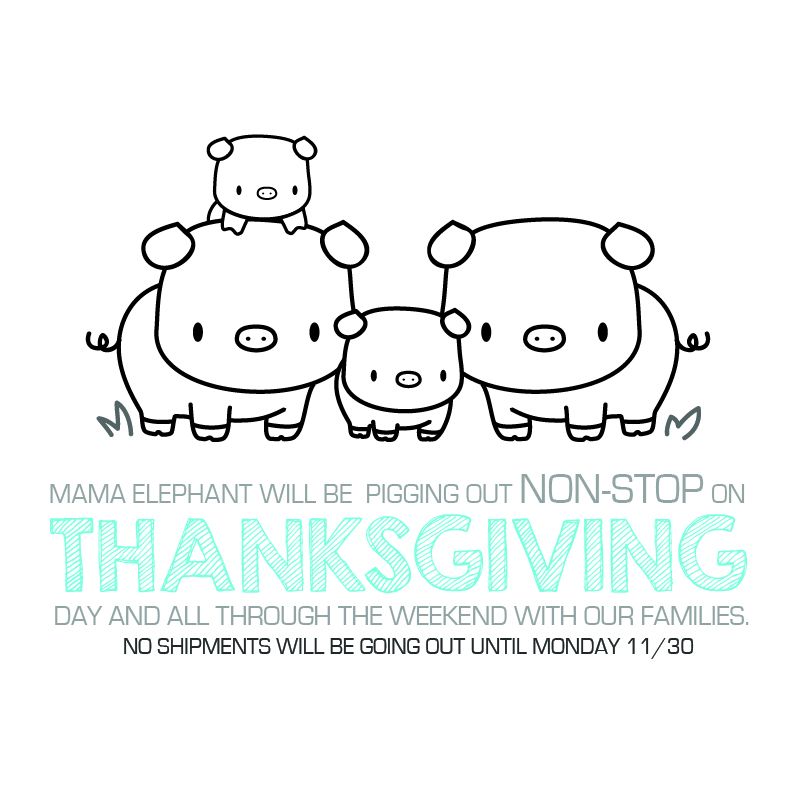 Please keep in mind that shipments will go out Monday. How cute are those piggies? Almost makes me want to give up eating bacon. Notice I said almost, not I will! 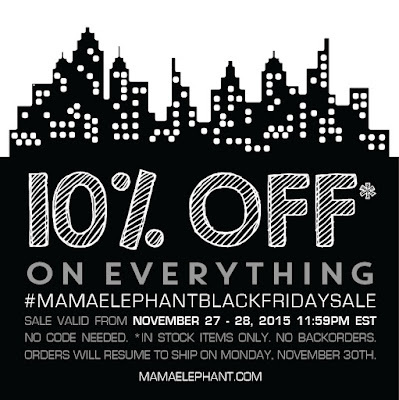 LOL I'm going to be checking you out as I love a good sale and I need some Christmas gifts. Also, Sat. is Small Business Sat. and I'm thinking you would qualify as one of those small businesses. I'm always glad to support the little guy rather then Wally World and JoAnn's. Thanks for the discount. Those piggies need to be a stamp!!!!! Happy Thanksgiving! I'm so thankful for all that you do!